Visitors spend an average of 9 seconds in front of each art work. Even though the Rijksmuseum offers complete open source access to its collections online, visitors still prefer to capture their own memory of Vermeer's Milkmaid. Makes me wonder what they are really getting from the experience. Image by John Dawson at the Rijksmuseum, Amsterdam 2014. Here's a question: if museums never existed, how might we create them? Starting today? In 2015, thanks to a Winston Churchill Fellowship and the British Council I went in search of some of the world’s most inspiring museums, looking for what helps us to truly connect with what we see. Is it the built form that houses the exhibits; the power of storytelling and the spoken word or the ingenuity of technology? It didn't take long to see there's a lot happening in the world of museums today: from digital, to dance, to sleepovers, the museum ain't what it used to be. Those school trips spent in gloomy rooms, gazing at stuffed birds and old maps, are a thing of the past. Museums are exciting public spaces for learning, for looking at nice stuff, for hanging out and drinking tea but many are overstretched and underfunded as they strive to navigate a successful route back and forth across the complex territory between fun palace and scholarship. Many museums have to compete with an increasingly wide range of visitor experiences and attractions that offer immersive, personalised experiences through digital and retail platforms. You can't actually touch most museum collections, but they want at the same time to draw more people more of the time to engage more deeply with their stuff. I was curious to learn more about these tensions between accessibility, engagement, fun and scholarship. How might they complement each other more, and might the museum create new ways of connecting with visitors, or use different materials or braver ways of story-telling to transform a museum visit? How might we inspire more connection among communities of people and and more positive change in the world? My experiences – whether tinkering at the Exploratorium in San Francisco, seeing the museum as ‘anti-archive’ at the Museum of Modern Literature in Stuttgart, looking at the world of design through the eyes of an eight-year-old at Cooper Hewitt, or commemorating 9/11 amid the very foundations of the Twin Towers, all reveal what makes a museum unique, exciting, enjoyable – and useful. But, ultimately, I'm trying to find out if museums have the power the make the world a better place. 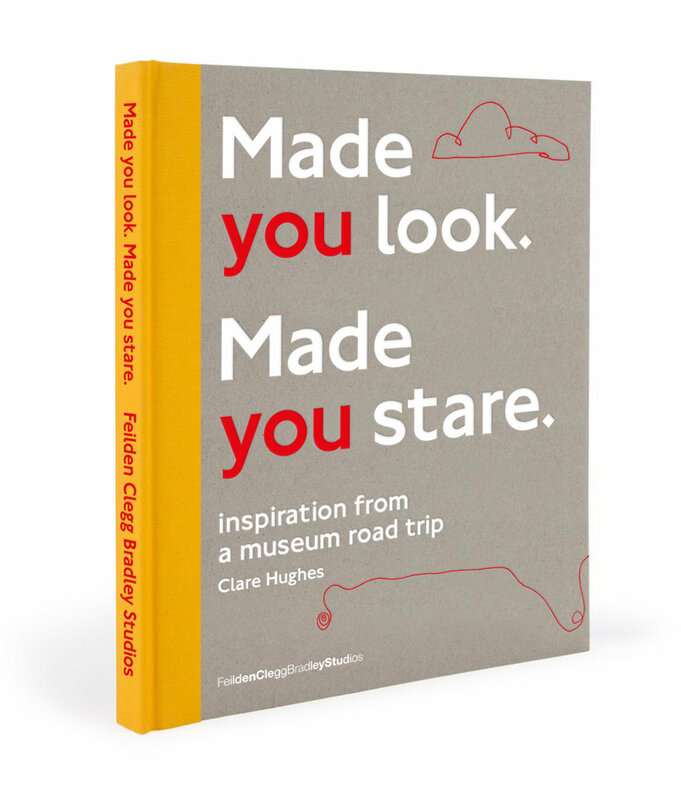 In collaboration with architects Feilden Clegg Bradley Studios, where I was a partner, I published a personal account of my journey and share some of my more inspiring discoveries in my book: Made You Look, Made You Stare: inspiration from a museum road trip. Made You Look, Made You Stare: inspiration from a museum road trip.